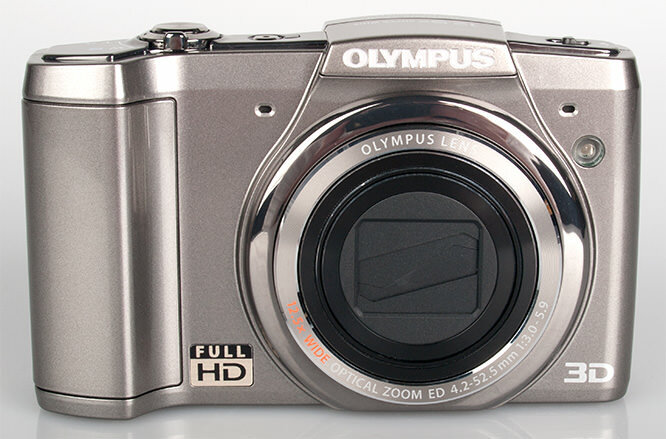 Buy New Olympus SZ-20 12.5x Superzoom Compact Digital Camera (Black) Free 8GB & Olympus Case Malaysia At FotoZZoom! 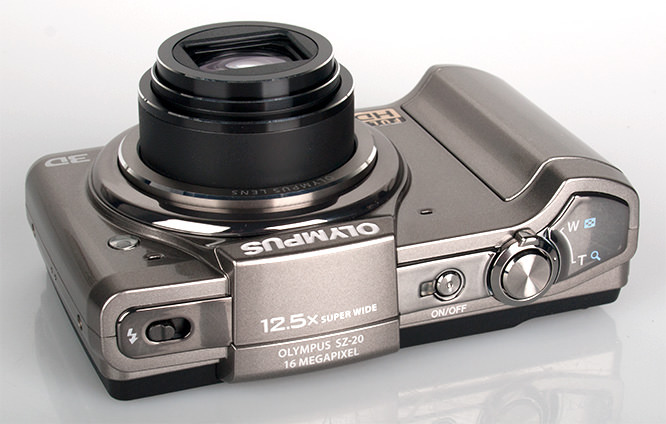 The Olympus SZ-20 fits strangely in the middle of the new Olympus SZ range, the SZ stands for Super Zoom and the SZ has the least zoom of the three cameras in this range, with a 12.5x optical zoom lens, the SZ-10 features an 18x optical zoom lens, while the SZ-30MR features a huge 24x optical zoom lens. In addition the camera records full HD video, with stereo sound and the optical zoom is available while recording. There is a large amount of options, and built in features, however the camera does not feature manual controls. Some of the more useful features include a scroll wheel on the back, a host of automatic modes, scene modes, effect modes, and built in help. The compact camera has a good size hand grip, although it's a little slippery, due to the shiny plastic, and there is a raised grip on the back, but again, it is unfortunate that the camera does feature any rubberised grips. The black version of the camera appears to have an improved grip design with a textured front. The design is quite stylish with stereo microphones, pop up flash, a great screen, and the camera feels like a premium high quality camera. Some unexpected features include being able to push up on the scroll wheel, and it will show you the date and time, when the camera is off. Magic filters, can be applied to photos while you are taking them, but not in playback. Instead playback editing options are: resize, crop, add voice memo, beauty fix, shadow adjust, and red-eye fix. Menus: The Olympus menus are updated to give quick access to common functions, using the scroll wheel on the back of the camera. The full menu options are then accessible using the menu button. They are split into: two photo menus, one video, one playback, and three setup menus. 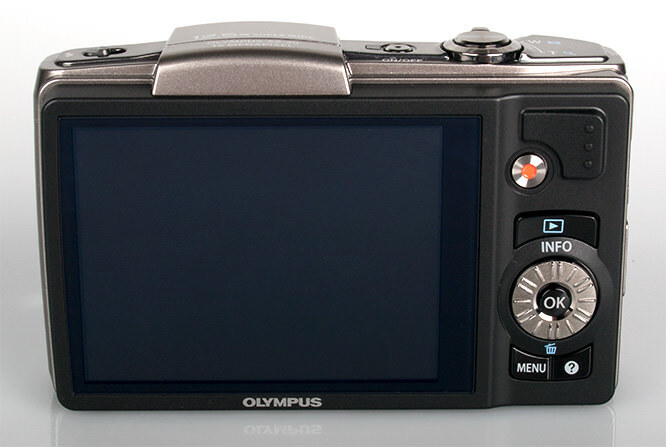 Olympus cameras feature an option called "pixel mapping" this can map out hot pixels if there are any, without having to send the camera back to the manufacturer for repair. There's another new option in the last setup menu called "Data repair" - this repairs the meta-data for "Event view" and "Photo surfing", two of the playback views available. Photo surfing lets you view by date, by shooting mode, by person or pet. Battery Life: CIPA standard results have not been provided by Olympus, but I managed to take around 200 shots before the battery went flat. The camera is charged via USB, either connected to the computer or the provided AC adapter. 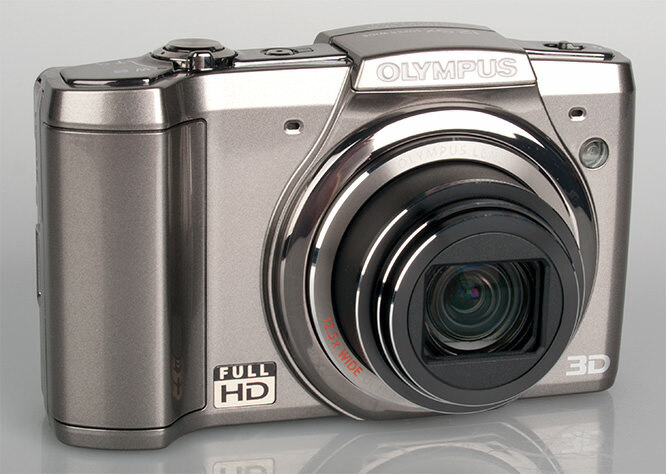 Speed: The Olympus SZ-20 with a backlit CMOS sensor provides high speed shooting, 7fps at full resolution for 3 shots, or alternatively 15fps at 5 megapixels for up to 34 shots. A standard continuous shooting mode is also available, that shoots at 1.5fps at full resolution for up to 28 shots. Switch on time was good, as was shutter response, and focusing performed quickly, and only really struggled in low-light. 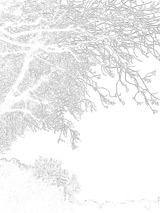 Here are several sample photos, click to enlarge and view the full size images. Noise is well controlled, with low noise levels from ISO80, right up to ISO400. At ISO800 noise becomes more noticeable, but results are still quite respectable for a compact 16 megapixel camera. At ISO1600 noise becomes much more dominant with particularly noticeable artefacts in dark shades of black, although the noise levels in bright colours in these charts are quite low. At ISO3200 the camera's images show the most noise, and this setting is best avoided, but should provide decent results for web images. The optical zoom provides a useful range from wider than standard at 24mm, all the way to 300mm telephoto, with good performance at both ends of the lens. Some further examples taken in a variety of lighting conditions, click to enlarge. 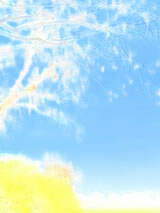 The creative modes / "Magic" Filters can create some artistic shots, and can make some otherwise boring shots more memorable, using the modes available: Colour (shown above), 4 more of the modes are shown below. Not shown include: Fisheye, Soft Focus. 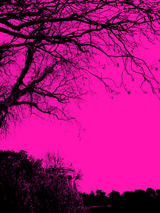 Punk is a strange one, it makes everything pink, with no option to change the colour used - I think this would be a more interesting filter if it let you choose the colour used. Some of the other modes can make otherwise dull images look quite interesting. The camera takes panoramic photos by simply letting you press the button and move the camera sideways, and the camera automatically switches the photo together. There is some ghosting / duplication of the subjects in some of the picture. Indoors, the camera struggled to focus on the model, and there is noticeable red-eye in the photo with flash. I expected better focusing performance as the camera features a built in AF illuminator. The auto white balance performance of the camera produced quite decent results using Auto, which defaults to giving a warm overall image. 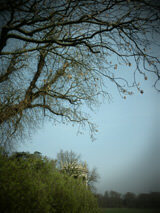 The tungsten preset gave a more neutral image, and the preset fluorescent changes the results little. Macro Performance: The camera allows you to be 1cm away from your subject. The macro performance is excellent, and combined with the cameras rich, saturated colours, the images look excellent. 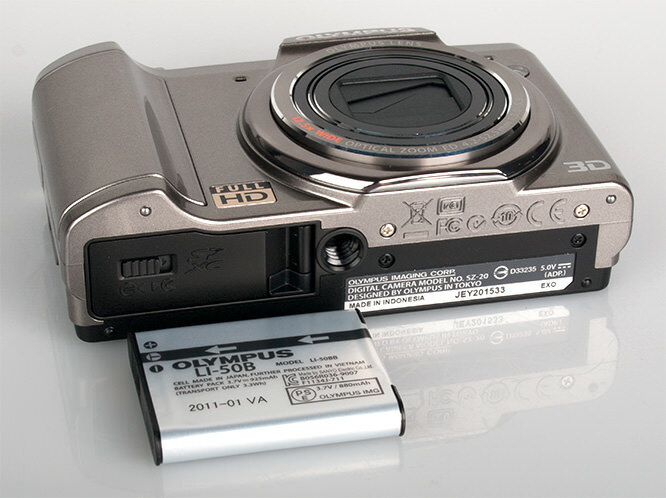 Olympus SZ-20 Full HD Sample Video. The video quality is very good, optical zoom can be used, and in this example the camera kept the subject in focus, although in other videos the camera occasionally struggled to focus, particularly when going from wide to full telephoto zoom. The camera picks up lens noise when the lens is zooming, and when focusing, although in these videos it's almost impossible to pick up as the sound of the water is so dominant. The Olympus SZ-20 may not offer as much zoom as some of it's competitors (or even Olympus' own models such as the SZ-10/30MR), however, the camera offers a very useful 12.5x optical zoom lens, a very good screen, high speed shooting, a compact stylish body, easy to use menus and controls, with built in help (just press the question mark to have anything explained), and has good image quality, with warm pleasing colours. The camera also features an excellent macro mode, allowing you to focus as close as 1cm, producing images with excellent detail. Noise is controlled well, and there are few minor negatives, such as the grip, although well designed, it is very smooth. The panoramic mode could be better, as well as battery life, as it seemed a little short. There were also some problems focusing indoors, in low light, even though the camera features a focus assist lamp. Other cameras in the same situation focused well, so this is something to bare in mind if you take a lot of indoor shots of people. 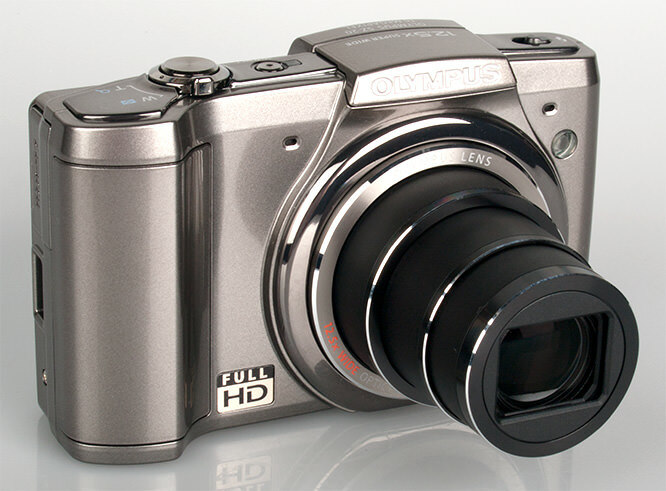 The Olympus SZ-20 is an appealing camera that is capable of producing some very good images, with full HD video, 3D shooting, and a number of fun and easy to use controls thanks to the built in help button. There are a few minor negatives to be aware of, but I can see people enjoying this camera, and enjoyed using the camera.